Yeha is a village in northern Ethiopia, located in the Tigray Region. It is the oldest standing tower in Ethiopia which was built in the Sabaean style, and dated to either the 8th or 7th century BC. This tower is one of the reasons why some believe Yeha was the capital city of the D�mt kingdom. 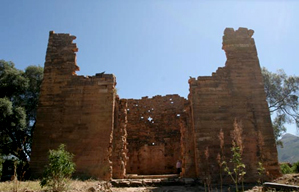 The walls of its early temple survive, while other ruins include Grat Beal Gebri, with square pillars. Yohannes IV was crowned by Dejazmach Kassa of Tigray in 1872. 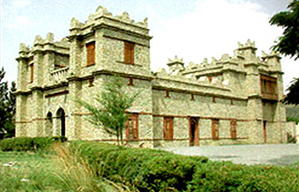 Even though his power was based in Debre Berhan, he relocated to Meqelle in the same year. Yohannes was a committed Christian, Nationalist, and a great military leader. When he built his palace, he made sure the palace was surrounded by churches to show his dedication to Christianity. This lased right up to his death in 1889 at the battle of Metema. The palace now serves as a museum. The Emperor�s throne, royal bed, ceremonial dress, rifles and many other valuable historical collections can be seen in the palace.